Julie Ann Givens, daughter of John and Joyce Alexander was born on November 26 in 1957. She attended the public schools of Buffalo and further went on to study at Columbia College and Northwestern Oklahoma State University. She was united in holy matrimony to Melvin Roy Givens in September of 1982. Julie was a devoted wife, mother, and grandmother she loved spending time with her family especially her grandchildren and great grandchildren. She enjoyed creating things by crocheting, and sewing. Her influence will forever remain in the lives of all who knew her. 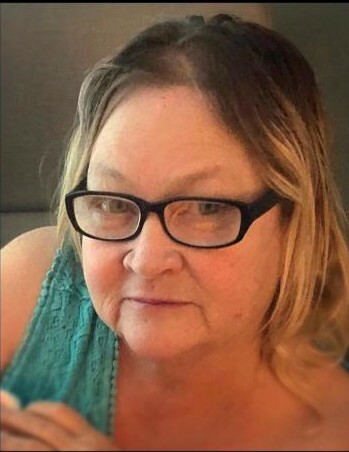 She departed from this life Sunday, March 31, 2019 at Harper County Hospital in Buffalo, Oklahoma. She was preceded in death by her father John Alexander, daughter Valerie Woodard, and two grandsons Austin Woodard, and Johnathan Rock. Her beautiful life will forever be cherished in the lives of her husband Roy Givens; mother Joyce Alexander; brother Jimmy Alexander; sisters Hallie, Janet, and Joann Alexander; children Franklin Smith and his wife Deidra, Charles Givens, and Jacob Givens; grandchildren Jason Woodard and his wife Kaitlyn, Jarrod Woodard, Vanessa Woodard and her husband Shane, Jamin Ford, Jaron Ford, Jariko Ford, Brandon Smith, Jάelen Williams, and Isaiah Givens; Great Grandchildren Aubree, Kache, and Tucker Eastabrook, along with a host of nieces, nephews, cousins, and devoted friends.